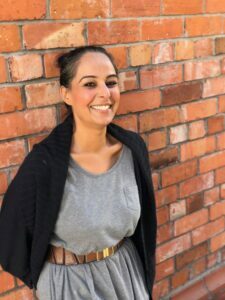 Gurpreet Kaur decided to give up anti depressants after 15 years to take control of her own mental health and change her life by understanding the power of the mind. Since October 2015 she has been learning and applying techniques to upgrade and improve her mindset with extraordinary results personally and professionally. Now it is her purpose in life to awaken others to the magic that lays dormant within them and by showing them how to use it to change their lives too. Gurpreet truly believes depression and anxiety are spiritual illnesses and founded her company, !ntuitive Knowledge – !K, to teach her universal processes to help guide others to begin their journey of understanding the enormous power they have within them to be happy and fulfilled. 1. How Gurpreet did it and does it everyday! 3. You’ll see, success doesn’t come from your IQ, it comes from your !K. Why not choose to make a decision to change? To be more inspired by Gurpreet Kaur please follow her ongoing journey on Facebook, click here to be redirected.